9Mobile, which was formerly called Etisalat, is back again with a revamped super bonus, which offers 10 times the value of ‘first’ recharge to all new customers and 7x first recharge bonus to existing customers. 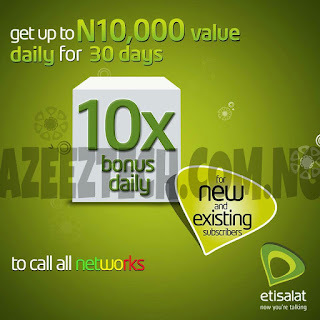 This 9mobile super bonus offer is valid for both new and existing customers, and is valid for good 30 days. 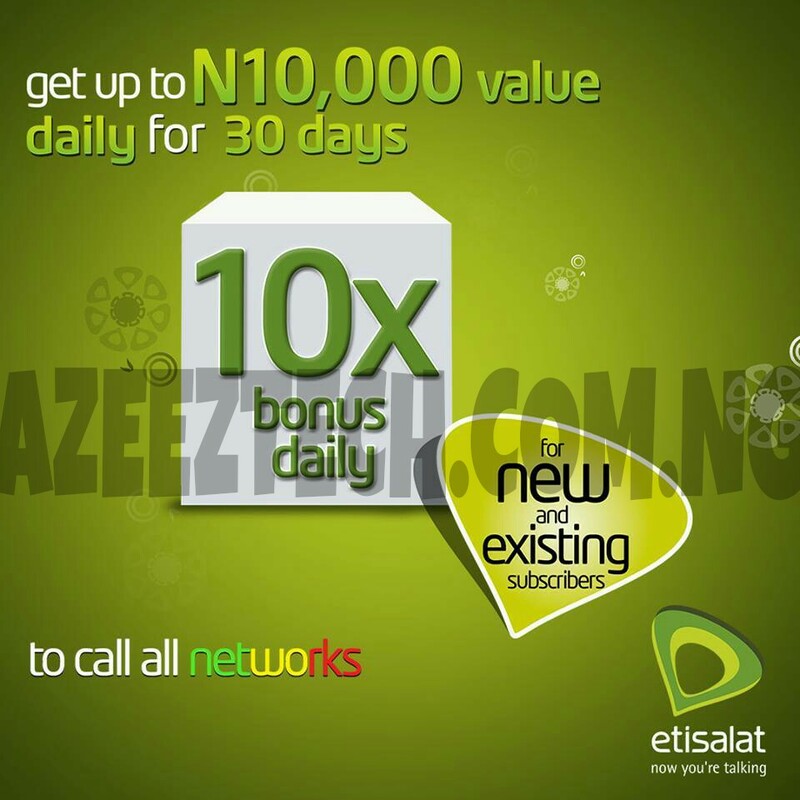 Simply dial *819*1# to activate the etisalat bonus offer which is working for all new and existing customers on the etisalat network. new customers: will receive 10x times the value of their FIRST recharge daily for voice calls and data to all networks in the first month. Existing customers: will enjoy 7x times the value of your first recharge daily for voice calls only to all networks for 30days. So starting recharging now to enjoy these bonuses! Kindly share and tell us how it went. Enjoy!